As a musical, The Lion King doesn’t measure up to a lot of its contemporaries. Outside its three signature songs “Circle of Life“, “Hakuna Matata” and “Can You Feel The Love Tonight“, the music of The Lion King is pretty clunky, uninspired and sometimes even awkward. Oddly enough, the music of The Lion King really isn’t the star of the show. Many of the musical numbers act as connective tissue between grand scenes awash in color, movement, dance and puppetry. It’s this wondrous magic and not the music which makes The Lion King the grand spectacle that it is. Following fairly closely to the film, The Lion King Musical tells the story of the ‘circle of life’ of one lion cub from infancy through adulthood including his life challenges and adventures. The story is a fairly dark one where characters are often put into peril. One of the most important things to know about The Lion King Musical may be that is NOT really good viewing material for younger children. At least half of the show contains content that would be very challenging for kids under the age of 7 and some of the scenes are downright graphic. One scene depicts a fairly graphic death onstage, something far more intense than in the animated version. Being a Disney production with fairly dark themes gives The Lion King a somewhat schizophrenic nature. On one hand we’re presented with a show that has wonderful African dance and music numbers, romantic interludes and sensual dance, and on the other we’ve got cartoon-like characters doing prat falls and fart jokes. As I sat watching The Lion King I wondered who exactly the show was aiming for. Perhaps a bolder move for the show would have been to accept that the production is a musical inspired by the Disney movie but for adults. Swapping out some of the weaker narrative songs with more African dance and puppetry would have gone a long way towards making this a much better show. However, the spectacle of The Lion King is so grand and some of the elements so engaging that it’s easy to overlook some of its significant issues. Putting the story and music aside, The Lion King is simply stunning. Staged with a full cast, a refreshing change from many of the paired down touring company productions I’ve seen lately, The Lion King literally overwhelms your senses. End to end, The Lion King constantly offers something new visually, like an unending buffet of visual delights. One of the key elements of this visual feast is an inventive fusion of puppetry and costume. The interaction of these two elements with the performers is amazing. In terms of the performance, the touring company does an amiable job. The strongest performance actually comes from Tony Freeman as Zazu, the sidekick bird to Mufasa, Scar and Simba. Tony Freeman always seems to hit the right notes and has a fantastic and innate understanding of the relationship between performer and puppet. I also really liked Dionne Randolph’s take on Mufasa. Randolph exudes strength in his performance and seemed to make the role his own, rather than just mimicking the film role (unlike Brent Harris, who plays Scar as a pure impersonation of Jeremy Irons). The young performers were also standouts, especially Jamarina Tribble who played the Young Nala perfectly. She had an absolute spark on stage that you wouldn’t expect from a performer her age. The only performer I was really disappointed with was Andre Jackson as the older Simba; his vocals often got lost in the orchestration and was never quite up to the level of his fellow performers. Still, no performance, no matter how underwhelming, could slow down this theatrical freight train, which is so visually exceptional that it’s easy to forgive and forget anything that doesn’t quite measure up. There’s been a lot of hype over The Lion King since its original Broadway debut and much of it is warranted. It is a show that is absolutely worth experiencing, provided you don’t bring young kids to it. During the opening performance I heard a number of screaming and crying kids who probably left with a lot less love for the Lion King franchise than when they came in. 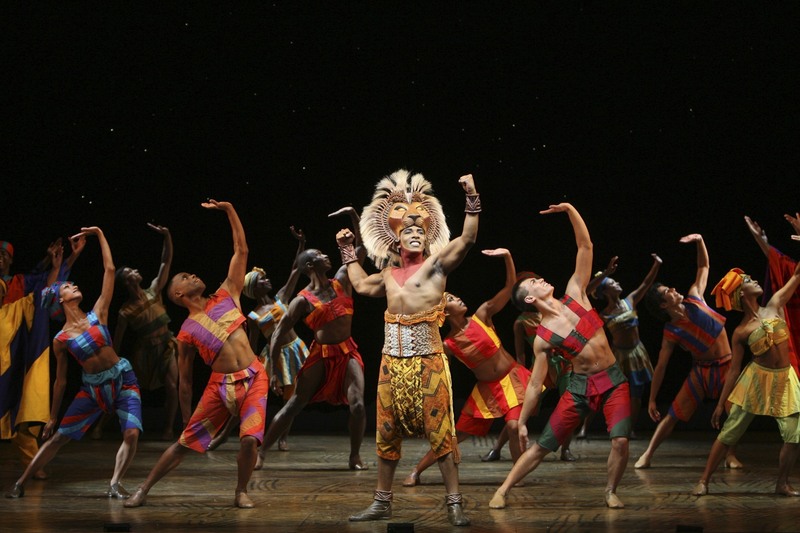 The Lion King is part of the Broadway Across America series and runs June 16-July 11th at the Keller Auditorium. Tickets run $26-$125. We HIGHLY suggest seats in the center section and as close as you can afford. The acoustics in the Keller are awful and the experience of the show from the far sides and higher balcony is less than fantastic. Thanks for this review – after all of the hype, this didn't *quite* meet expectations. The technical production is fantastic and imaginative. I think one shout-out you may have missed (perhaps you weren't as enamored) was to Phindile Mkhize as Rafiki. To me, it was the star turn of the entire show. Captivating voice, fantastic energy…the brightest point of the entire show for me was her interaction with Simba near the end, knocking some sense into him and singing the "He Lives In You" reprise. Phindile Mkhize was really good. Probably should have given her a nod in the piece as well. Thanks for your comment, glad you enjoyed the review. As my first visit to the Keller, I just saw The Lion King yesterday and was blown away by the costumes, (most of the) set designs, and the total creativity of the production. Some of the characters were definitely better than others (I pretty much agree with the assessments of previous reviewers.) HOWEVER, the experience was sorely dampened by the abysmal sound quality – mushy, WAY too loud, lyrics absolutely lost. For crying out loud, this is a MUSICAL! MUSIC should be a priority, but had I not already seen the cartoon version, I would have had no idea what was going on. I can't tell you whether the music was performed well or not, because I couldn't hear it – My ears are still ringing from the beating!I will not be attending any more events at this venue unless I hear they have corrected/revamped the horrid acoustical setup. Shame! The Keller has absolutely AWFUL acoustics. I generally try to sit in the center at least 1/2 way up on the bottom floor. There or in the center balcony are pretty much the only places you'll get any sort of quality of sound. It's an absolute shame too, as it's one of the major venues in town. On the flip side the Schnitzer has some of the best acoustics in town, and I go out of my way to try to see shows there as there's hardly a bad seat in the house.